Originated in 1810 to celebrate a royal wedding, the Munich Oktoberfest is the world’s largest funfair, with 200 amusement rides, sidestalls and games, 6 million visitors, and 7 million liters of beer sold each year. 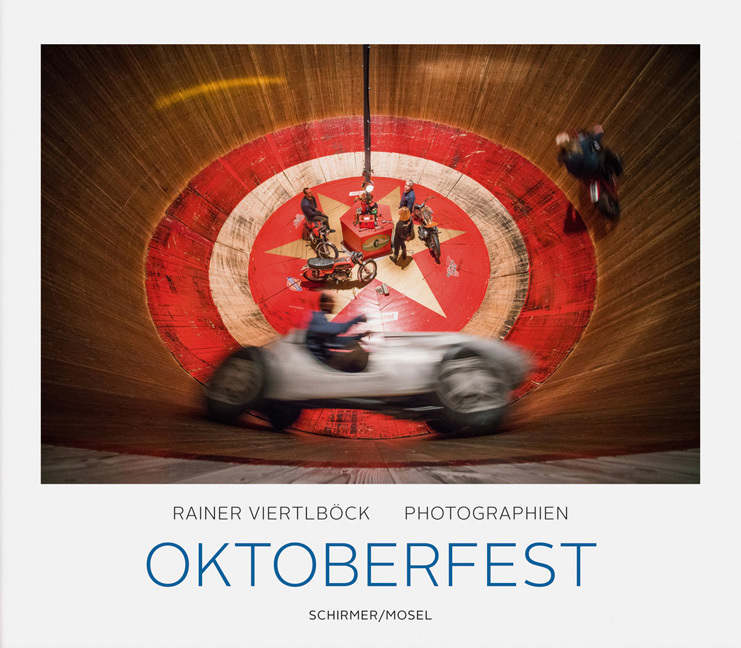 In spectacular pictures, award-winning German photographer Rainer Viertlböck has documented the Oktoberfest covering its entire 16-day run. The perfect memory and gift book for Oktoberfest lovers around the globe. Schirmer/Mosel. Ed. by Nicola Borgmann. With texts by Thomas Wolfe and Nicola Borgmann. 166 pages, 153 colour plates. Size: 30.5 x 24 cm, hardcover. English/German edition.